Kathleen Stavert is a Yoga teacher and actress originally from Québec, Canada. She has lived and worked all over the world and is currently calling Montréal her home. For further info about her you can check out her Facebook page HERE or her website HERE. Do your practice and all is coming. A famous quote by one of the most celebrated yogis. Pattabhi Jois is one of the guys that brought yoga to the western world. Heard of Ashtanga yoga? Yeah, that’s him. I often think about this quote. When I first heard it, it struck a chord and it stayed with me. I mulled it around in my mind for a while. Then I explored the meaning in my body by, well, practicing. I believe the essence of this quote is trust. Trust in your practice…or trust that if the practice of yoga comes to you gently like a summer breeze or boldly like a flying brick there’s not much ‘thinking about it’ that is required of you. Trust that if you go searching for a yoga practice the right teacher, studio, community will find you and welcome you like one of their own and there’s not much else you need to do. You may protest, you may be dragged by the hair into a studio kicking and screaming or be totally put off by a type of yoga swearing never to practice again. And surprise, surprise you find yourself seeking more: you discover a pose you like, a teacher who says just the right thing. You find the right place to practice and something inside you shifts, however small, it keeps you hungry for more. Do your practice and all is coming. Not much else is required of you but the discipline, the intention of carving out time for yourself. You start to discover that somedays you need a full hour and other days when you’re able to only fit in 10 minutes the magic still happens. The magic of life that keeps on going. The magic of life’s curveballs, challenges, frustrations, beauty, joy. It’s nothing extraordinary but day in, day out, as you just simply practice your yoga you soften into the body you carry, the sharp edges and chips that you hold begin to melt and you find the space inside you to just simply be. You begin to trust the momentum of the day as you move with more ease. You trust your breath will keep you calm when people or things get out of hand. You begin to notice nothing is too big for you to handle, and when things do appear to be too big, you simply get back on your mat and practice yoga. Some days will be more magical than others but it’s all there, always and everything is coming, always. 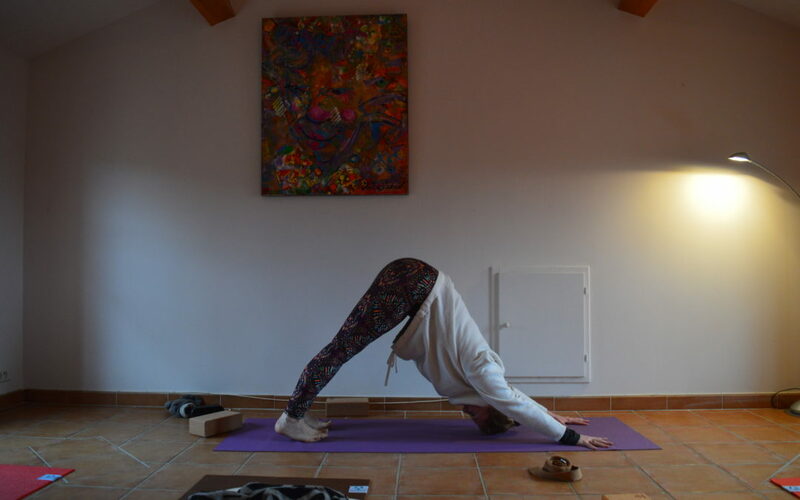 A regular yoga practice can be hard to create and sometimes it’s a matter of a condensed yoga experience in the right environment. I can’t guarantee to answer all your questions about yoga but I can help you throughout your personal inquiry. 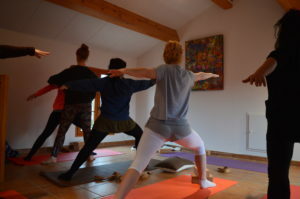 A yoga retreat is really a wonderful way to connect with like-minded individuals, explore uncertain areas of your own practice and learn something new about yourself. 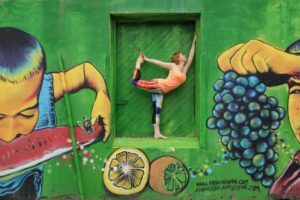 This area of France is totally conducive to finding your own yoga, getting back into a practice or taking your exploration further. Not to mention the food, the pool and the quiet!